When I saw this lovely utilitarian object in the sand while on vacation, I had to chuckle. It looked so at home there, beached up and ready to be used! Made me want to run and find some play dishes. After all, who wouldn’t love a sink with a view? My husband said probably Hurricane Katrina. 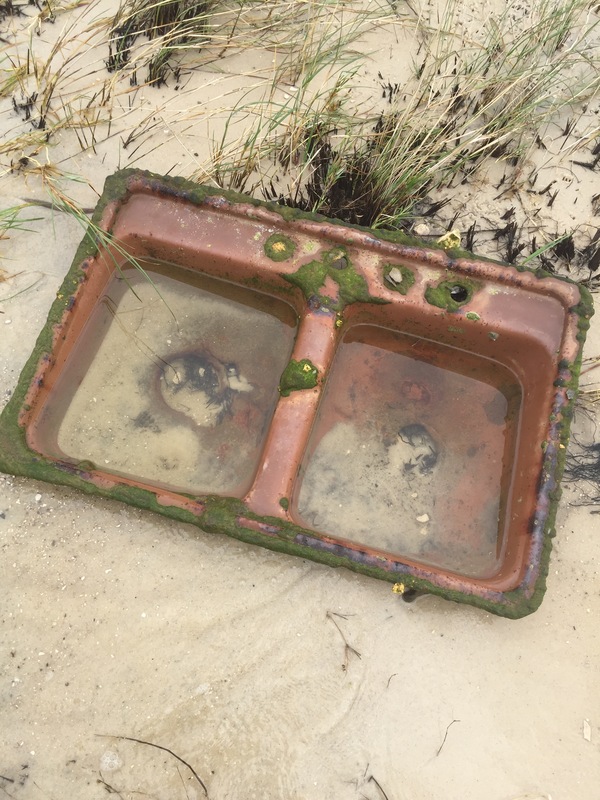 The sink washed up on the Mississippi Sound side. We’ve found other stuff in the water. This year I found tiles and bits of china plates. It can make for an interesting scene when things normally find inside are now outside!